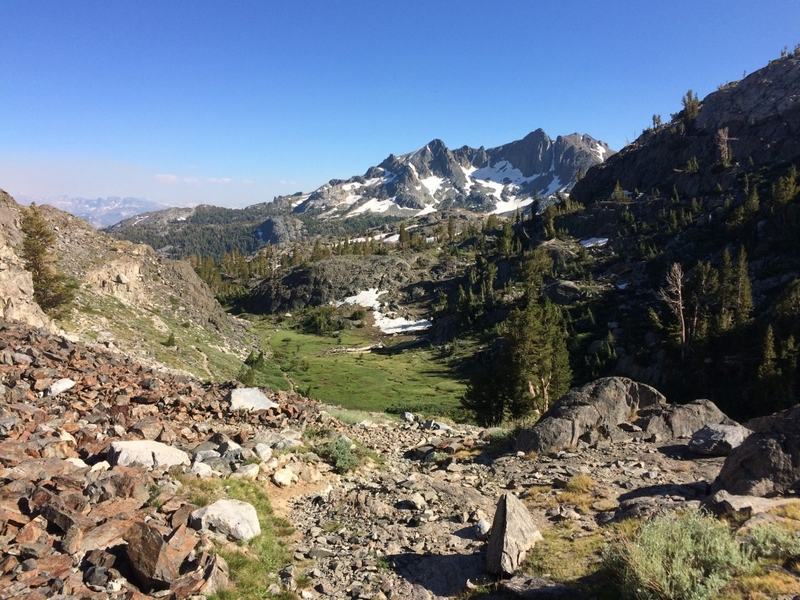 The Ansel Adams Wilderness Project brought six volunteers into the Shadow Lake area for five days of backcountry trail restoration. Youth volunteer Thomas Zentmyer came along for the community service hours, but went home with an experience he’ll remember forever. Check out his words below, and stay tuned for more stories and photos from the trip. 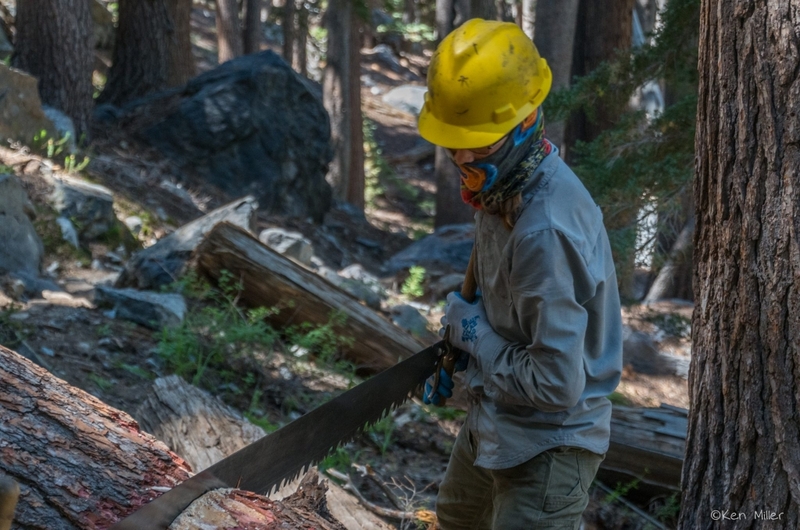 Thomas manning the crosscut saw to remove a downed log from the trail. Photo by Ken Miller. Not a bad place to put in a hard day’s work! Photo by Julia Runcie.